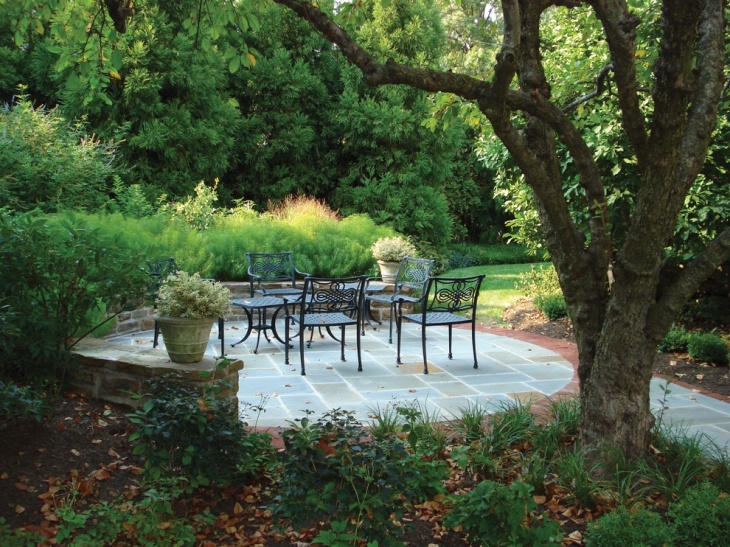 Planning to bring about an instant charm to your outdoor layout? 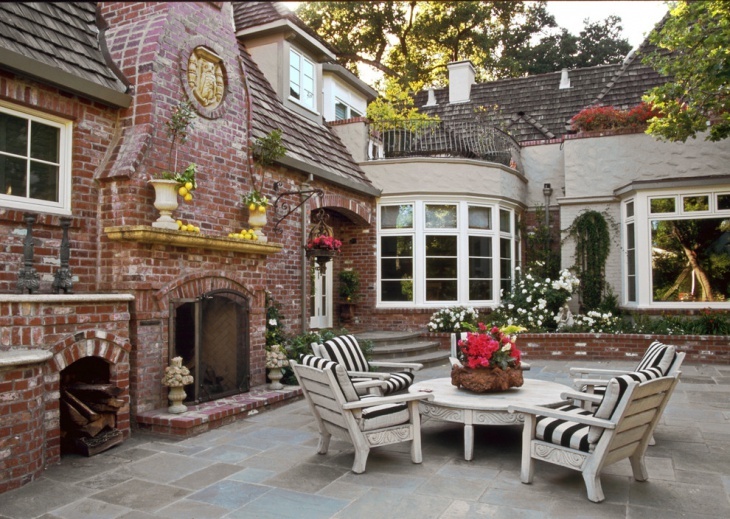 A brick patio can create an amazing setting for lovely evenings and lazy weekends. 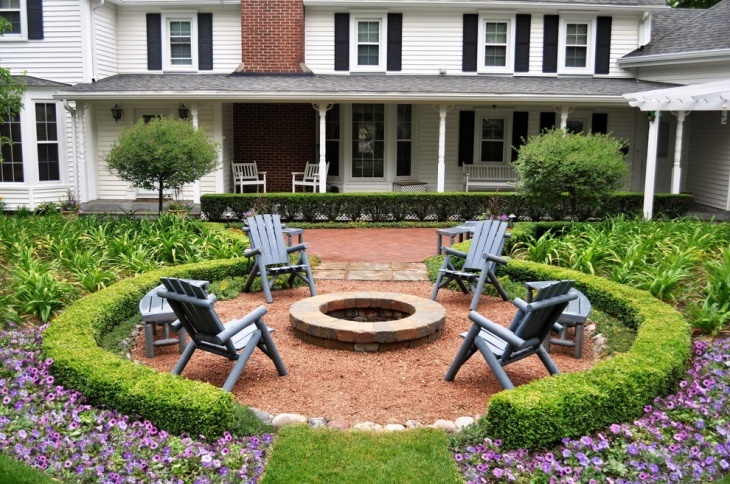 Try and use interlocking brick pavers of actual bricks, the result would be a neat and eye-catching arrangement. 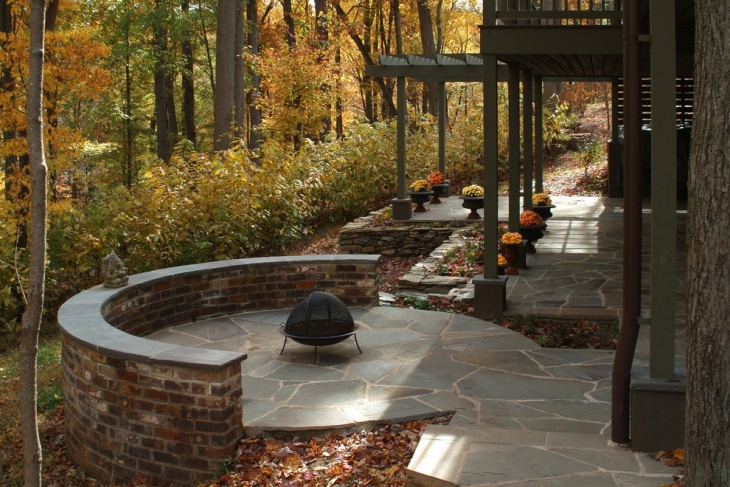 Easy to achieve, a brick patio will always add a lot of value to your home and is a must have. 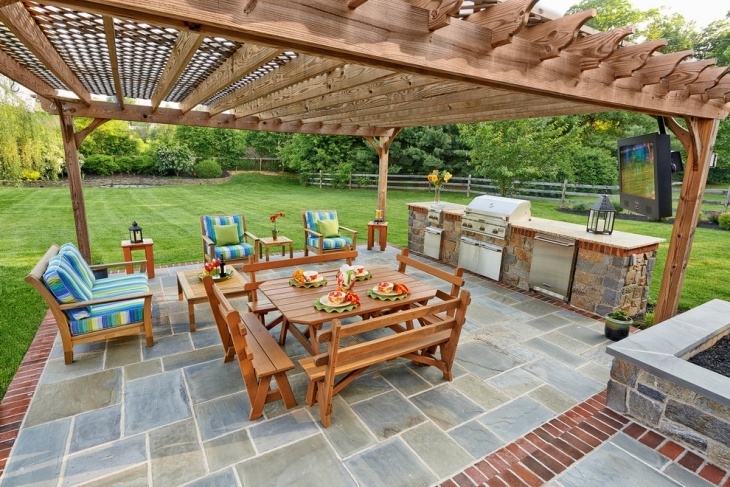 Here are some amazing ideas for your brick patio from across the globe. 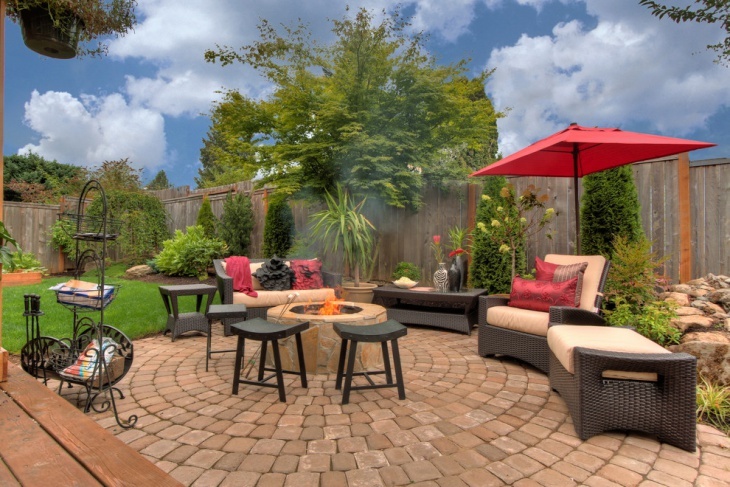 This example perfectly shows the range of opportunities you open up with a brick patio in your backyard. While mobile seating ensures that you are easily set for a perfect family get-together, a fireplace will ensure that there is fun and laughter along with good food and drinks. Rich colored brick patio sidewalk pavers have created a unique setting, in this case, bringing in both traditional and contemporary elements. This would be an ideal setting for a luxurious, romantic and private weekend. With a lot of space around, every member of the family will love to be here, rather than indoors. 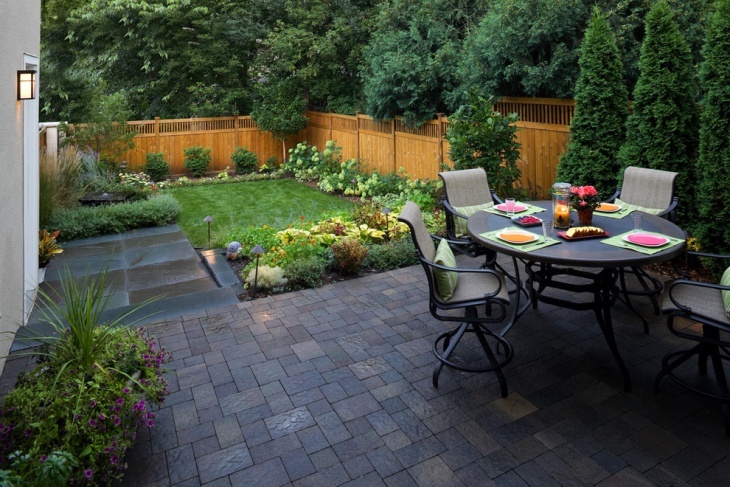 If you have a small but cozy/private backyard, it would be ideal to have a brick patio inlay at one of the corners. 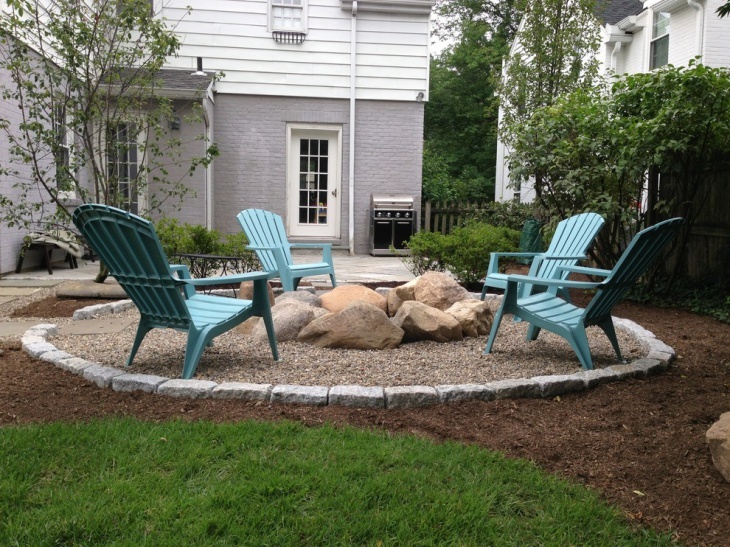 As shown in the example, the homeowner has been able to establish a well-defined seating space while the rest of the backyard acts as a playground for your kids and pets. 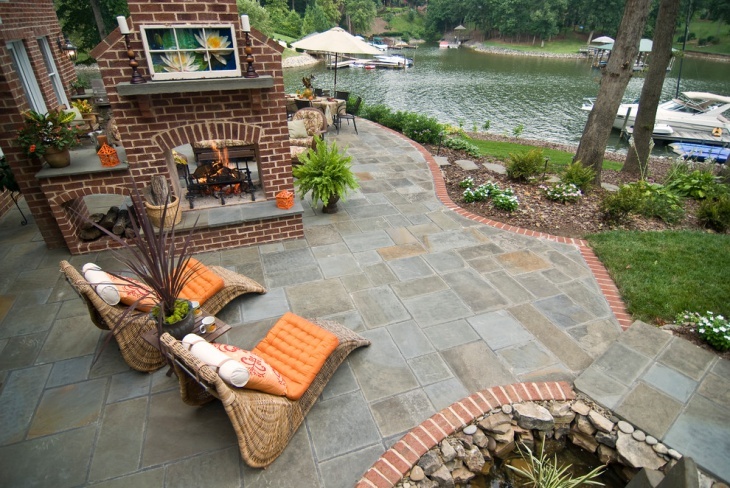 The best thing about such a patio is being covered all around to create an ambiance of privacy. 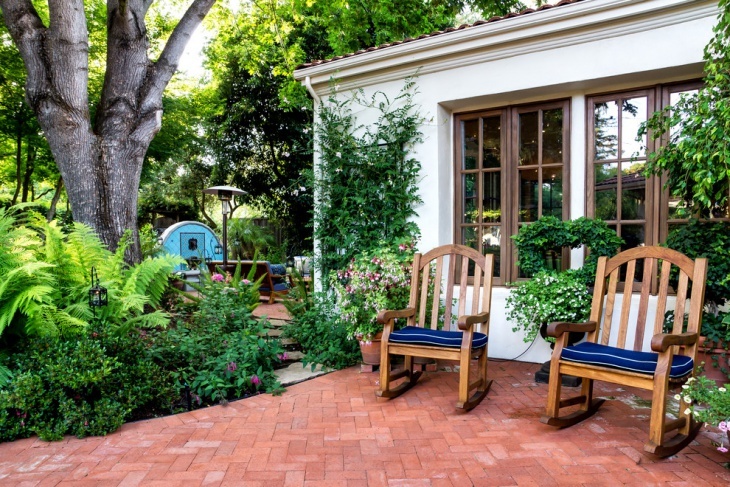 Interlocking brick pavers, as in this case can create a well-defined edge for your patio while connecting to the outdoor environment. 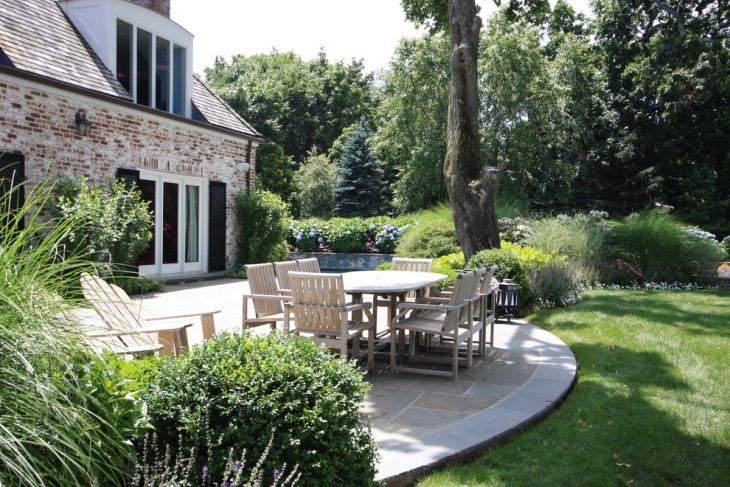 The transition is achieved beautifully using patio brick deck design and a texture that connects the indoors with the outdoor. 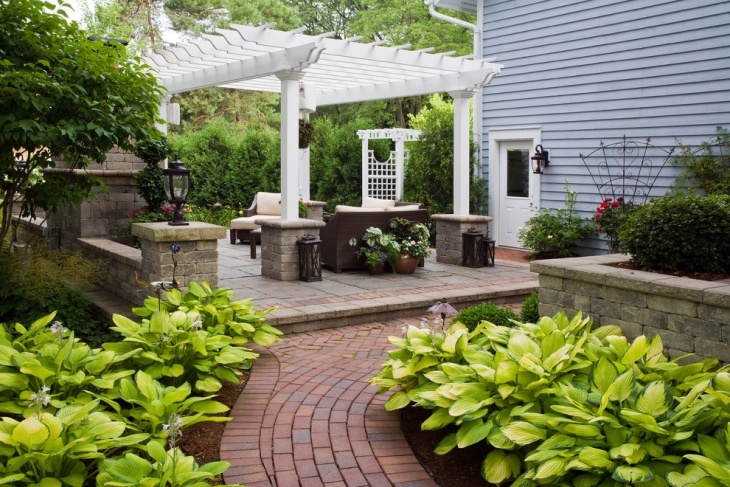 This patio design looks more like a private garden. 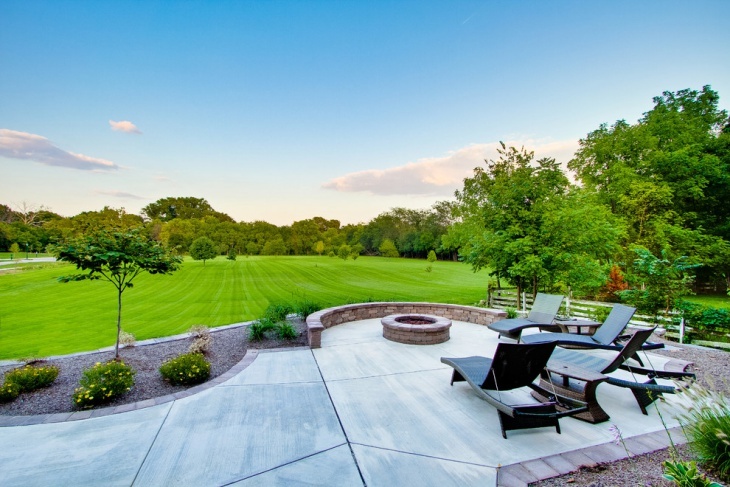 Surrounded by huge trees and bushes from all sides, it is only a brick patio sidewalk paver that connects the arrangement to the main property. Nevertheless, this layout could be an intimate addition to the property. Well bounded, this is where most of your time would be spent! 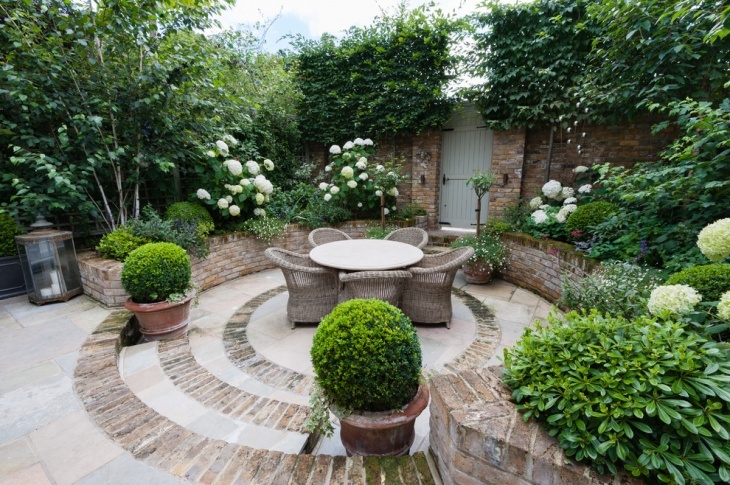 This is an example that shows how to achieve a perfectly unique patio arrangement with the same materials. It’s just the game of textures that helps the proud homeowner here achieve sophistication. If you have a big family or regularly host friends, this is something you should be working towards. Clay bricks along the pathway always create a unique setting, especially if you try to achieve a pattern in the setting. Perfect for patio brick deck design, this is an arrangement that would add luxury to your backyard while increasing the value of your home. 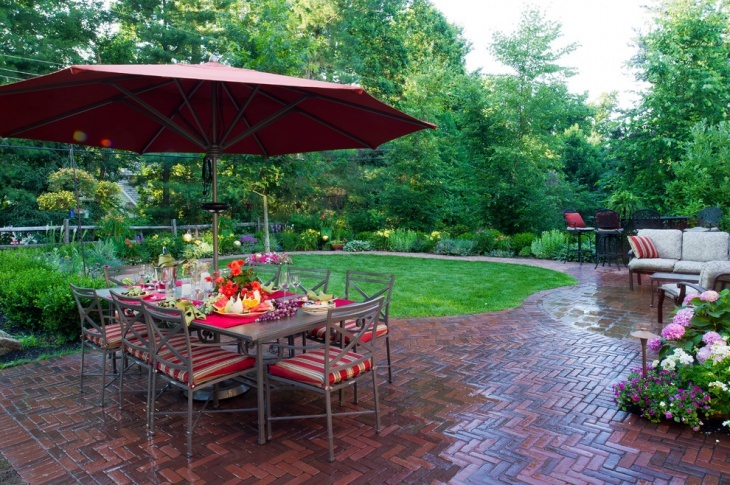 In this case, the red bricks help achieve a defined patio place. 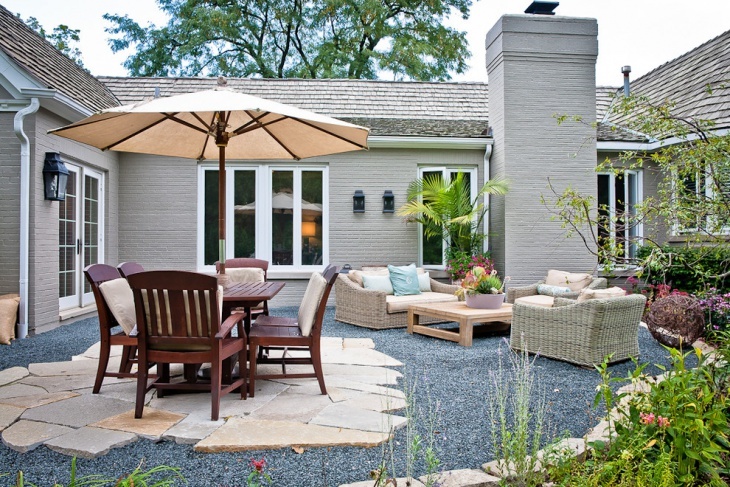 Simplistic yet neat, this basic idea for brick patio can be achieved in any type and length of the backyard. Loved our compilation? We would love to know your feedback. Also, if you have something unique going on, we would like to hear about it.